The basic types of satellite systems include geostationary (GEO), Low Earth Orbit (LEO), Medium Earth Orbit (MEO), and Highly Elliptical Orbit (HEO) satellites. 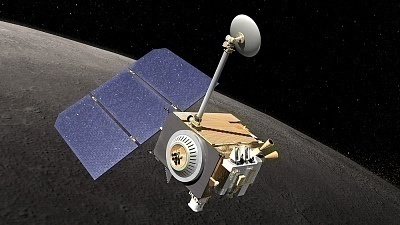 There are also public and private satellite systems such as Television Receive Only (TVRO), Direct Broadcast Satellite (DBS), Global Positioning System (GPS), and multibeam satellite operations. Geosynchronous satellites orbit the Earth on repeatedly regular points over time. Each GEO satellite is stationary over one spot above the equator and therefore does not need any tracking from receiving and transmitting antennas on the Earth. GEO satellites enable the coverage of weather events. They are especially useful for monitoring severe local storms and tropical cyclones. They are best for television transmission and high-speed data transmission. Low Earth Orbit (LEO) satellite systems fly very closely to the surface of the Earth, up to 1,500 kilometers in altitude. They deliver more significant voice quality over GEOs and transmit signals with a small margin of delay. Some LEO systems are designed for satellite phones or global mobile personal communications systems. These can carry voice traffic among other data formats. Medium Earth Orbit (MEO) satellite systems operate at about 10,000 kilometers above the Earth, making it lower than GEO orbits but higher than LEO orbits. They have a larger capacity than LEOs. This enables them more flexibility in satisfying shifting market demands for voice or data services. 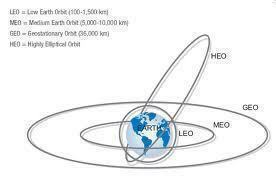 Highly-elliptical orbit (HEO) satellite systems orbit the Earth in an elliptical path unlike the LEO’s and GEO’s circular paths. Its elliptical orbit allows a wider view of the Earth and maximizes the amount of time each satellite spends in viewing populated areas. It therefore requires fewer satellites than LEOs while providing an excellent line of sight. TVRO (Television Receive-Only) and DBS (Direct Broadcast Satellite) are satellite TV systems. TVRO relies on unencrypted feeds transmitted using open standards. They are also often referred to as C-Band Satellite TV, Big Dish TV, or Big Ugly Dish (BUD). DBS works on higher frequencies. It is capable of transmitting higher power signals. DBS was primarily intended for home reception. This is why it is also known as Direct to Home satellite. DBS satellites are owned by satellite TV providers. This means it is restricted to provide free channels. A global positioning satellite system receives and compares the signals from orbiting GPS satellites to determine geographic location. Each satellite can transmit its exact location with a timed reference signal which the GPS uses to determine the distance between satellites. The location can be marked by calculating the point at which all distances cross. The information can be displayed in latitude or longitude format, or as a position on a computer map. The multibeam satellite operation uses Spatial Division Multiple Access (SDMA) technology. This allows a single satellite to simultaneously communicate to 2 different satellites using several directional antennas. 268 queries in 0.331 seconds.